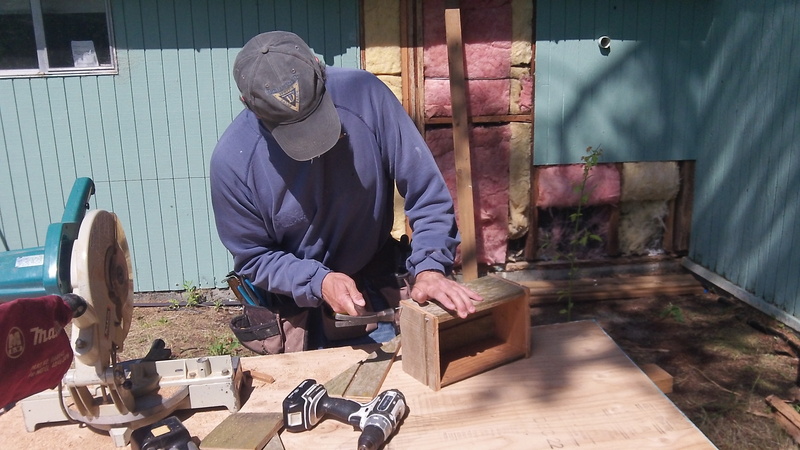 While removing some rot on the east part of the shop, Geoff discovers a bumblebee nest. 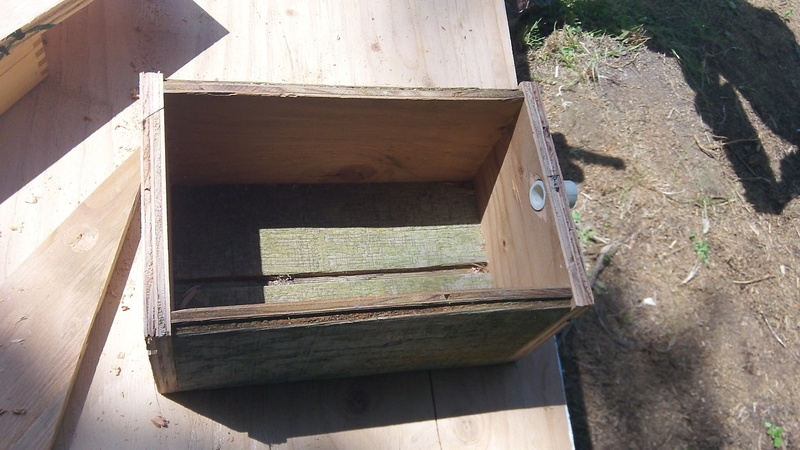 Geoff, a very capable contractor who shares our respect for nature, builds a small box to house the nest. 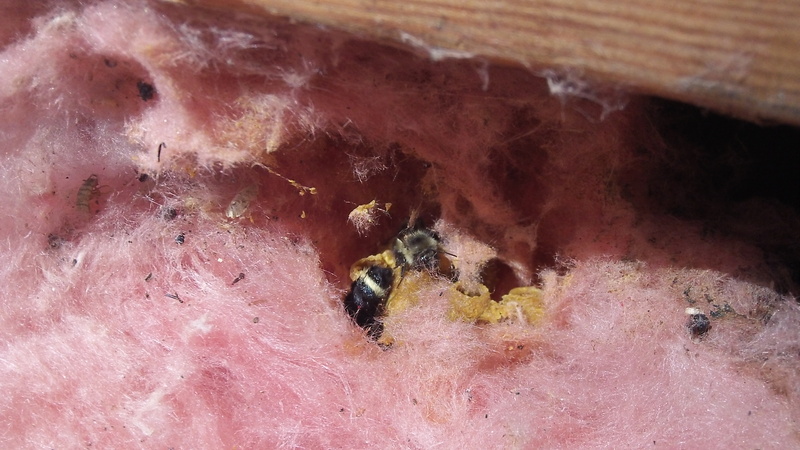 This evening before a rain shower we see what looks to be the bee in the nest, a Bombus Californicus…is it the same one? You be the judge. 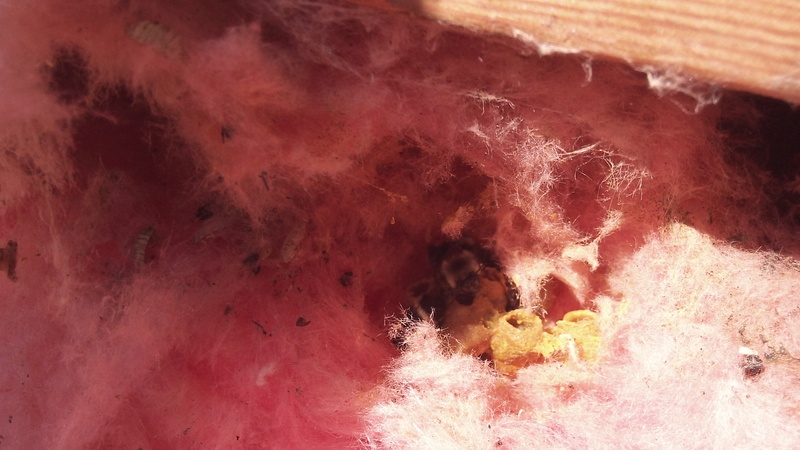 Way to be respectful of nature when it gets ‘close to home.’ I hope the bumblebees enjoy their new one!